We've been looking forward to the ability to run Linux distributions on the recent Windows 10 Arm laptops and there has been some work in making it happen albeit not yet out-of-the-box and various hardware/kernel quirks with the different port attempts so far. But it looks like it could soon become an easy reality thanks to Red Hat. Red Hat's Peter Robinson has shared that they are working to bring Fedora to Arm laptops "very soon". One of their initial device targets is the Lenovo laptops with Snapdragon 850 SoC. 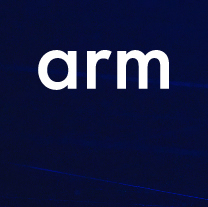 Many of these Arm laptops are using the Snapdragon 850 anyhow but given the overall successes with Lenovo laptops on Linux and their generally good build quality, it's exciting to see Red Hat / Fedora committing resources to make this happen. Some of the Lenovo Snapdragon 850 devices so far are the Yoga C630 and Miix 630, which each retail for $530~599+ USD and feature 1080p 13 inch display, 4~8GB RAM, 128GB+ SSD, mobile broadband support, and up to a 22 hour battery life (at least under Windows 10). Hopefully Red Hat will be successful in their Arm laptop work for the Fedora 31 cycle, which would then debut this fall. Thanks to Red Hat's upstream commitment, this work should ultimately trickle to other AArch64 Linux distributions too for helping the ARM64 Linux laptop ecosystem.